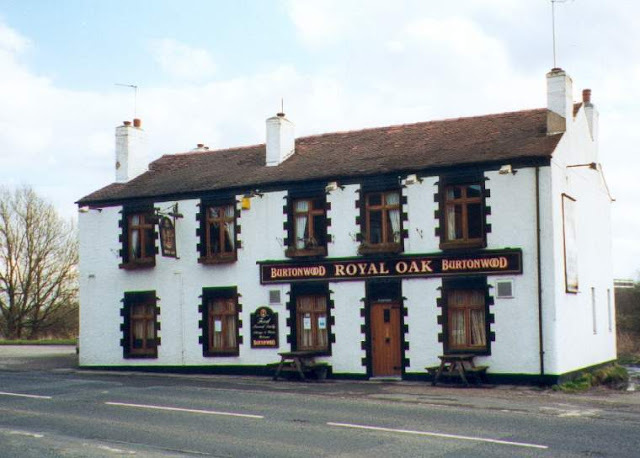 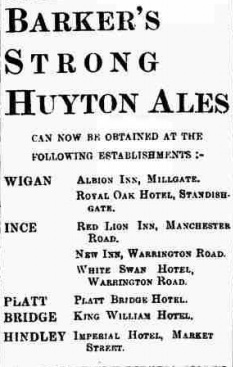 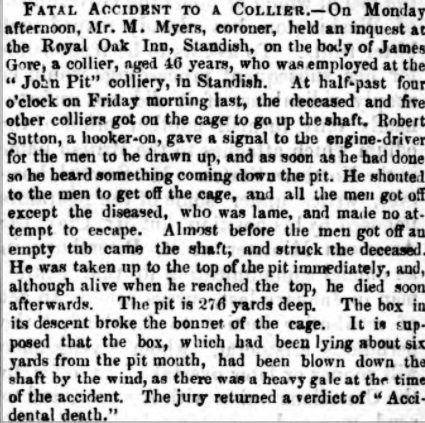 The Royal Oak started life in the 1850's and was no doubt patronised by the many businesses close by including the Bone Works on Crook Road, the local colliery and the Brick & Pottery Works to name a few. 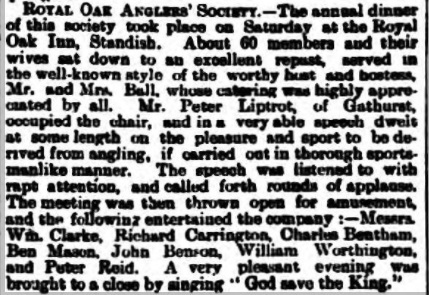 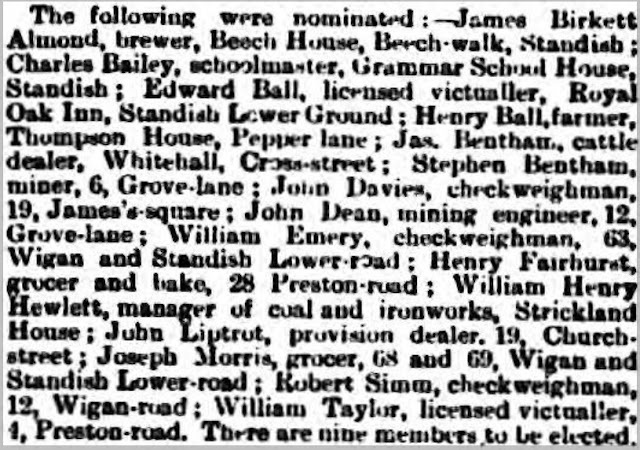 The Oak was very much the home of the Ball family and census and directory records throughout the 19th century and early 20th century all record them running the pub. 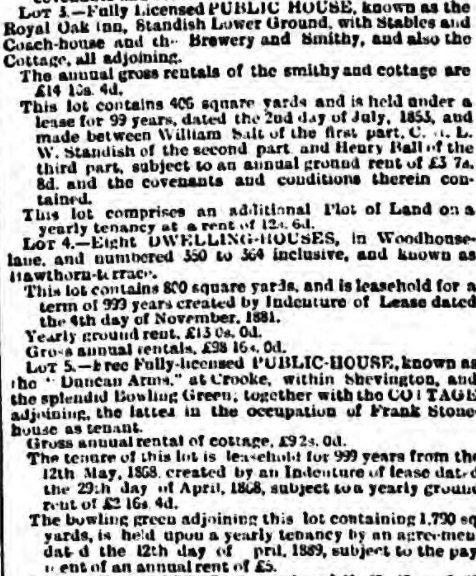 Listed landlords therefore were Henry Ball (1856-80s), his son Edward Ball (1880s-1911) and Charles Higham (1924). 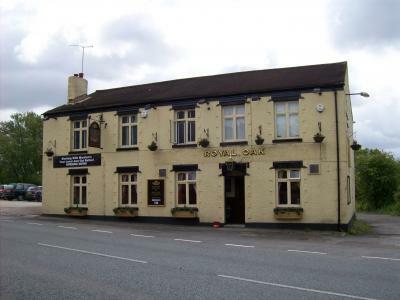 Henry Ball was a local man, born in Orrell and he and his wife Mary brought up their seven children at the Inn. 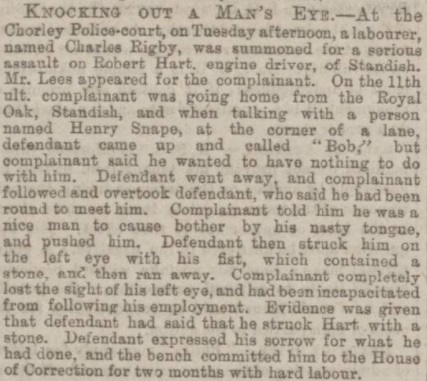 Edward, the eldest son was to take over after his father's retirement sometime in the 1880's having previously trained and worked as an engine fitter. 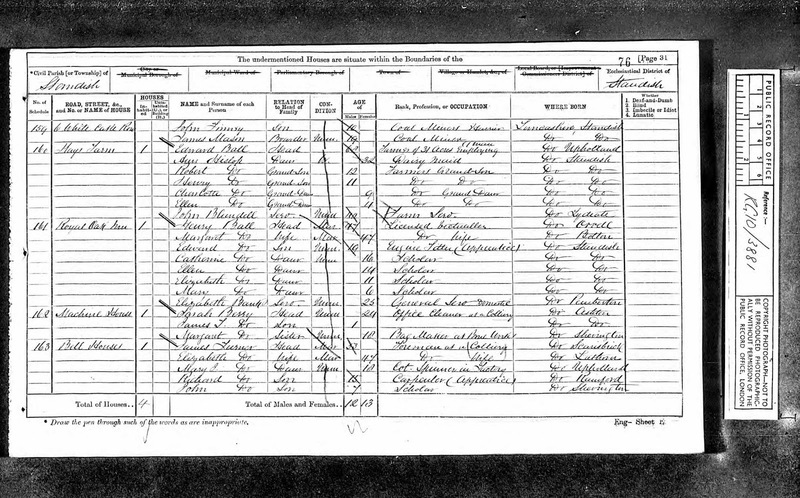 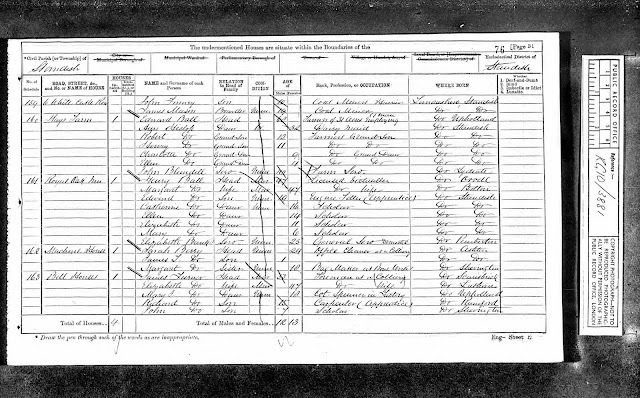 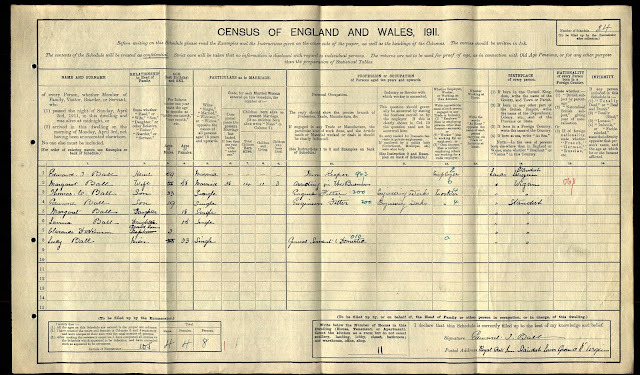 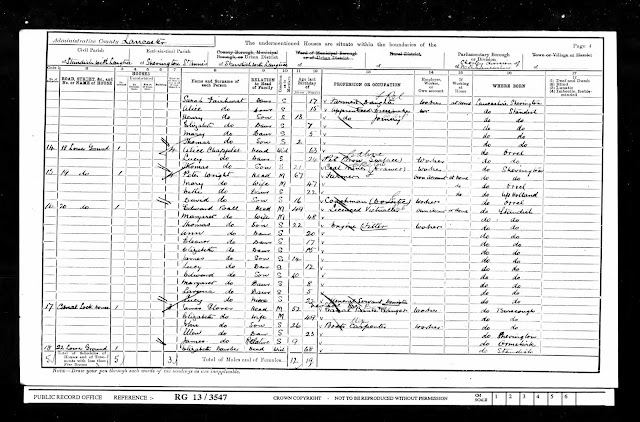 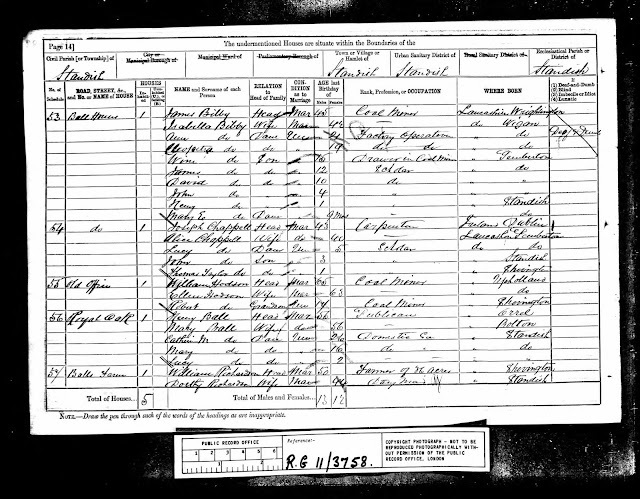 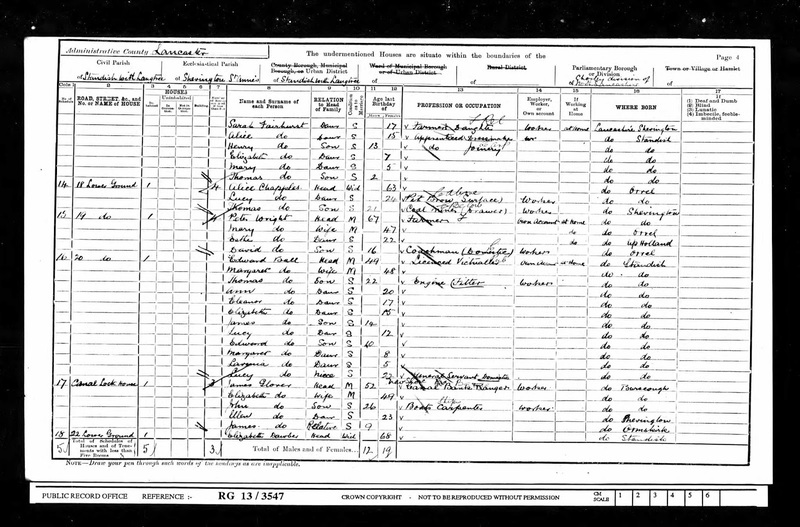 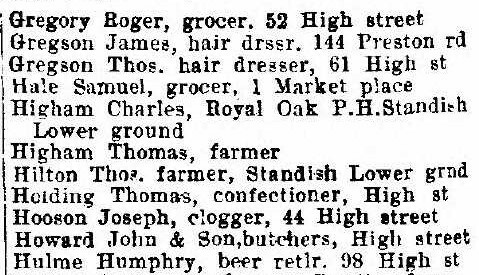 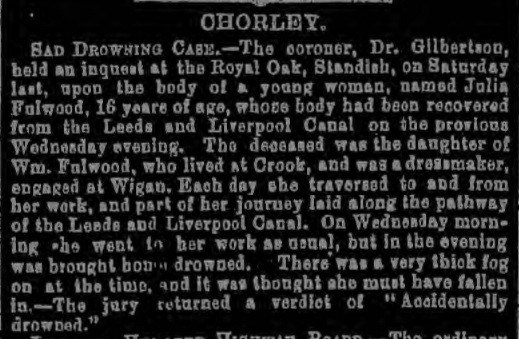 When Henry's daughter Ann married in 1867 the record confirms his occupation and their residence in Crooke. 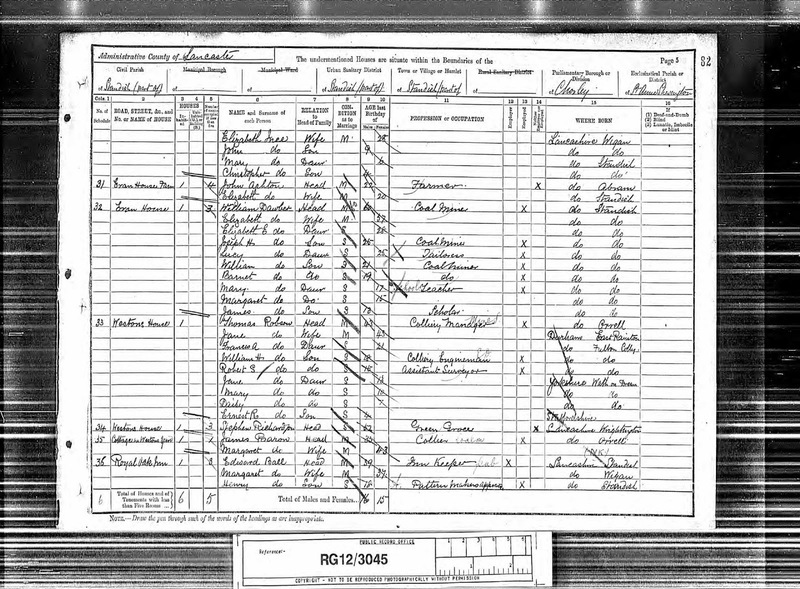 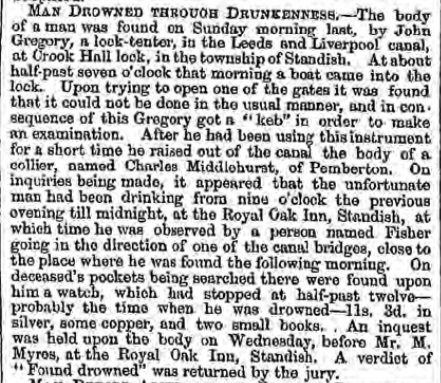 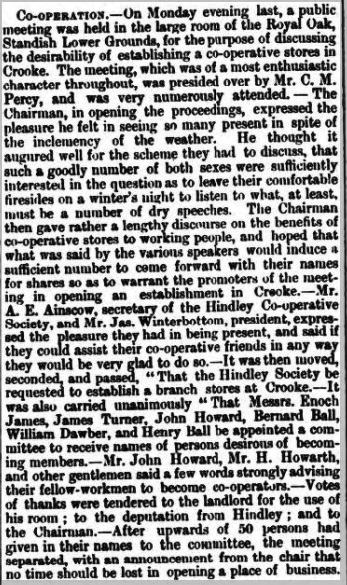 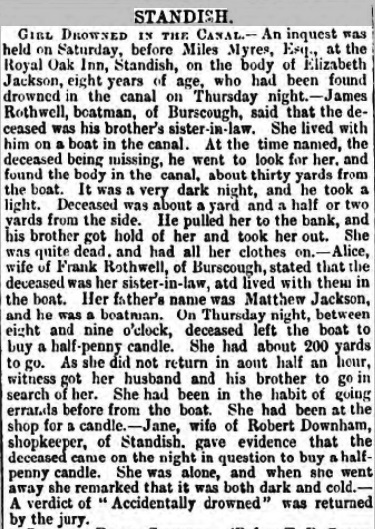 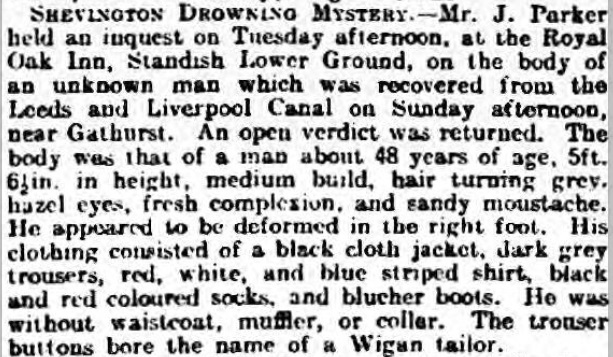 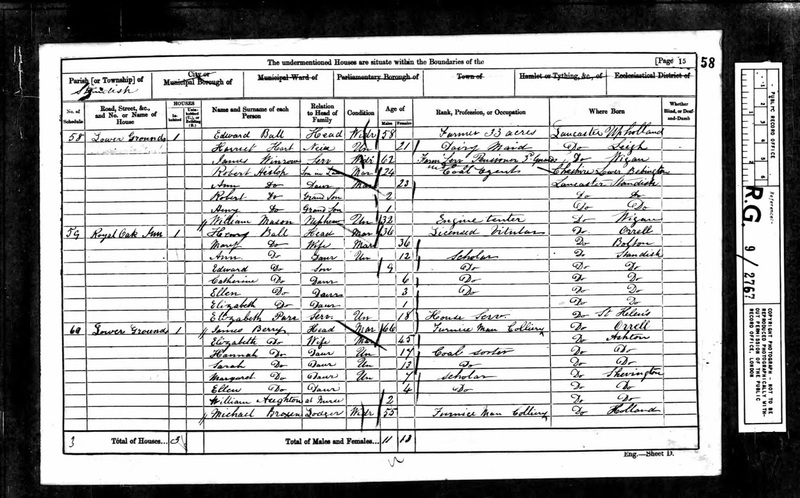 Marriage: 31 Dec 1872 St Wilfrid, Standish, Lancs. 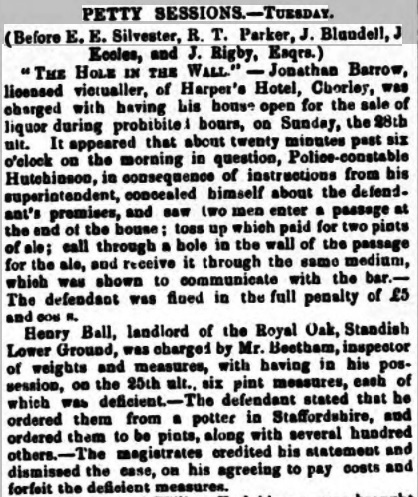 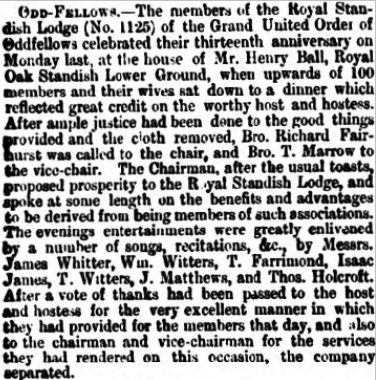 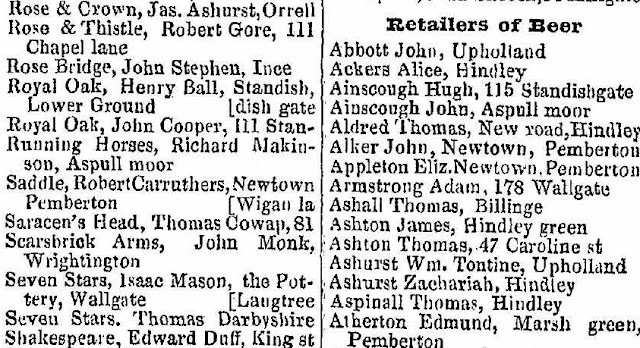 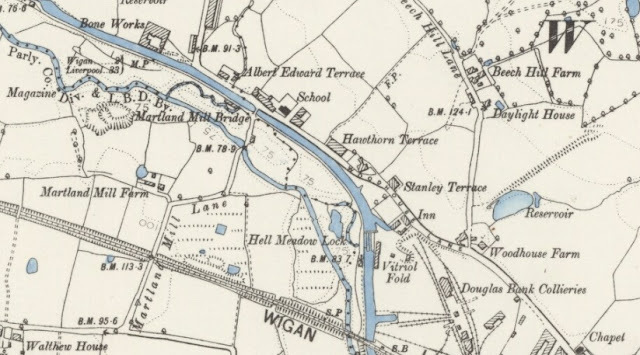 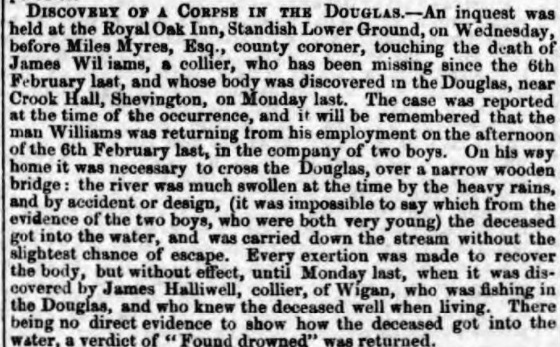 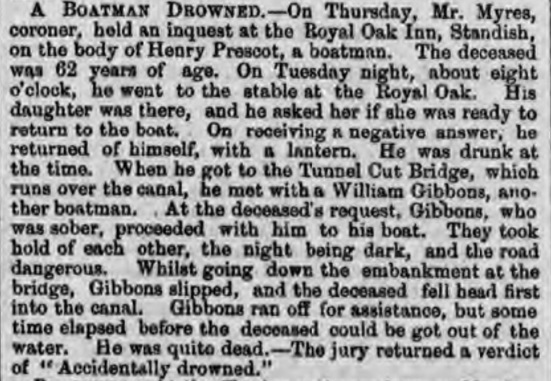 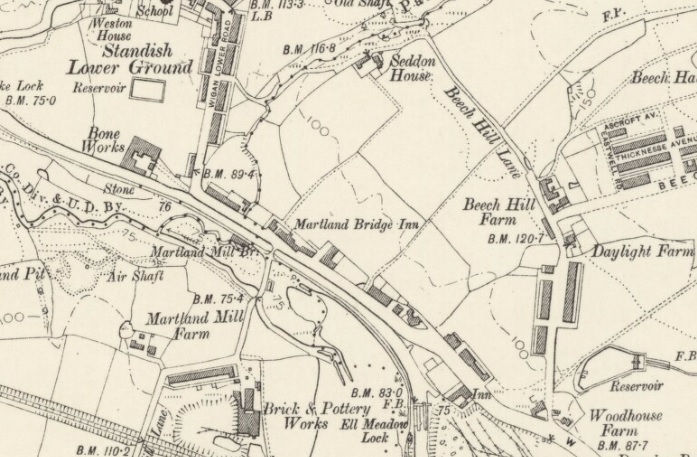 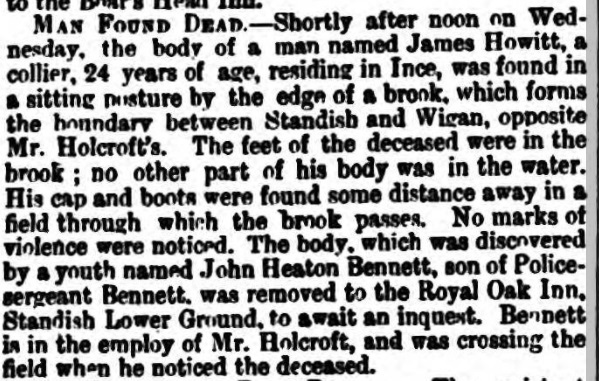 At the time of Henry Ball's death in 1894 his probate confirms Edward as an innkeeper and also mentions a John Alker, who was Henry's son-in-law, having married eldest daughter Ann at St Wilfrid's in Standish in 1867. 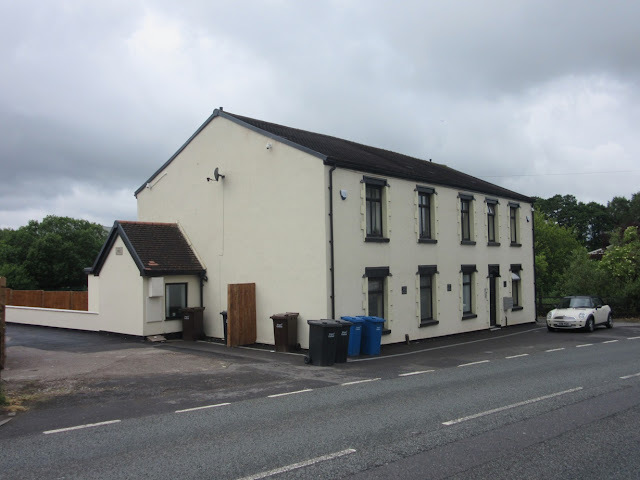 John and Ann Alker ran he Woodhouses Inn further up the road on Woodhouses Lane. 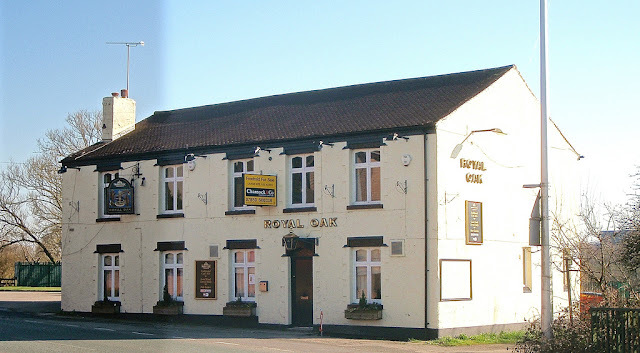 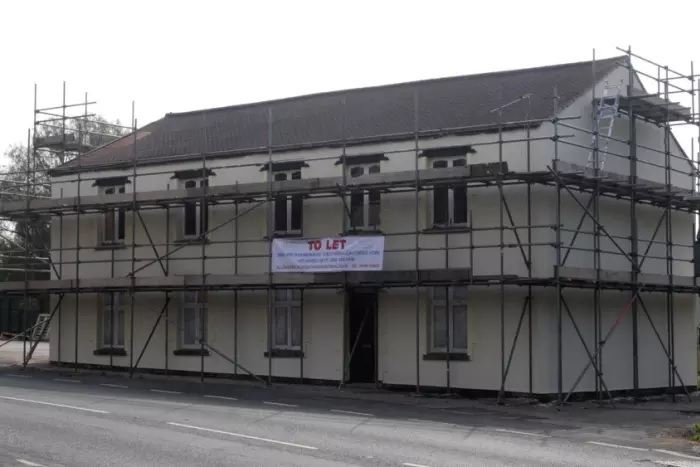 Following renovation in 2015 the Royal Oak has now been converted into four residential flats.